CD and DVD are most easiest and cheapest way to store data. But these can become damaged by accidental scratches. The data stored in CD/DVD will be lost due to scratches. Fortunately there is a way to recover data from scratched CD/DVD. Data can be recovered from damaged CD/DVD disks using some software. KopyBadFile is a good software to recover files from damaged CD/DVDs. This free software is developed by Vladimir Kladov and it’s just few KB in size. Using KopyBadFile we can read and recover data from damaged CD/DVD. It works really well, we tested this software and it was able to recover almost all data from a scratched DVD. The amount of recovered data will depend on the disk condition. You don’t need to install KopyBadFile in computer like most other software. Just click on the KopyBadFile.exe file and it will start. This free utility is very easy to use. First select location of CD/DVD drive then choose the location where recovered files will be saved. Click on ‘Start’ to start data recovery process and ‘Stop’ to interrupt it. KopyBadFile will start reading data from corrupted CD/DVD and copy recoverable files to computer. 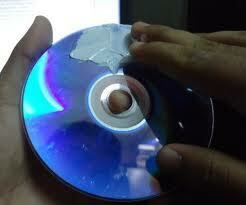 It will ignore all bad sectors in damaged CD/DVD. It may take some time to recover data from DVDs. It can recover files which are more than 4GB in size. This free data recovery software works on all version of Windows OS. Which antivirus you are using? Ya plaban the antivirus showing me to not to open this site. there might be some issues with product site or software. may, I will try first ..
too bad, i have high expectation of this kopybad..